When you want to eat healthily but have a limited budget, shopping for nutritional primarily organic foods has its challenges. But if dedicated to a healthy eating lifestyle, there are a few tricks to make it easier to do. If you've ever checked pricing of organic produce in the food market, whole foods will convince you that sticking to a budget and organic are at complete odds. It took me some time to adjust to the bloated price points but have discovered ways to buy organic that meets my budget. Here are a few tricks I picked up and hope they work for you. Cooking for one - From soups to casseroles, each of these is easy, delicious, and fast.The quantity helps save time during the week when I work. If you have vegetables in the refrigerator, just toss in a big pot season and let the meal cook on the stove top or oven, and viola, you have nutritious lunches and dinners for days. Try freezing the cooked ingredients if the meal becomes tiresome. Buy fresh when in season and freeze - A trick I read online. Fresh is best but costly. So I try to buy in season and stock up if affordable and then freeze the veggies or fruit. Buy ugly and reap 50% - Some like beautiful looking fresh vegetables. But if you can save 50 percent or more, who cares? The unattractive produce may appear imperfect, but it's just as nutritious. Look for food with dents, irregular curves, and blemishes. Some markets and food stores like Wal-Mart offer such irregular-looking foods. I usually chop anyway, so they work for my cooking style. Eat at home - Eating out is rare for me. I'd rather save money than eat in a restaurant. Besides, having meals at home is healthier, and you know the ingredients used. Most restaurant foods have too much sodium and who knows what else. If I save by not eating out means, I can buy organic! Prepare whole grains and beans (my favorite) - Pinto, black, and navy beans are my personal favorite. I pair with whole grains, like quinoa, and brown rice which makes a tasty and low-cost meal. What's great is having enough for several days. Cut out junk foods and sweets! - Besides no nutritional value, junk food and sweets are expensive. Stay away from prepackaged meals and processed foods. Plus, these foods have unhealthy ingredients. Buy frozen - Why bother buying fresh vegetables and fruit? Frozen is as good as fresh. Frozen saves you all that prep time and work. Buy on Sale - Stock up on favorites when on sale. Just make sure that they won't go bad before you use or enjoy them. Eat less meat - Replace meat with beans, eggs, or canned fish (or fresh fish on sale.) These are low-cost and healthy sources of protein. 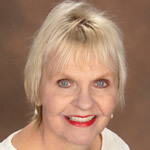 Carol Marak, aging advocate, syndicated columnist, and editor at Seniorcare.com.